Apparently some people just can’t take jokes and parodies too much, several South Korean netizens began to RAGE when they know that their beloved country will appear in an anime that will parodize and make fun of many countries’ archetypical behavior. As reported by Yomiuri, Kids Station has announced that the Korean character, Im Yun Soo, won’t appear in the new Hetalia Axis Power anime due to the controversy that appeared. According to the protesters, the Hetalia webcomic portrays Korea wrongly by giving him a bit abnormal personality, tendency to urge China and Japan to call him ‘aniki’, and his obsession to claim something as his invention. Of course it’s not more archetypical than America’s obsesson with burgers and self-righteous personality or Italia being useless. This matter received mixed response even by other South Koreans. Not few of them claim that the netizens’ action as overreaction and immature. 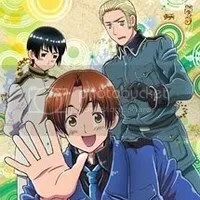 After all Hetalia is just an anime about countries in their cute male forms doing their antics. All you need to do is just relax, watch, and laugh at the silly portrayal of your country. « Umineko Ep 3 Full English Patch Is Out! Actually, the Korea character wasn’t going to appear in the anime in the first place. I’m not sure why, but they just canceled him out. Asking questions are really good thing if you are not understanding anything fully, however this piece of writing offers good understanding yet.